Property 1: Luxury Apartment, Near Subway, Perfect for Work or Play! Great Catch! Don't Miss Out! Property 2: Great Catch! Don't Miss Out! Property 6: Beautiful apartment in Queens New York City. Beautiful apartment available just like home . Also we accept foreign students . Property 13: Beautiful apartment available just like home . Also we accept foreign students . *RAZZMATAZZ* Stunning 2 Bedroom Apt in Fantastic Upper East Side Neighborhood !! 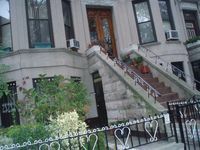 Property 19: *RAZZMATAZZ* Stunning 2 Bedroom Apt in Fantastic Upper East Side Neighborhood !! Property 21: Lovely Astoria Studio - close to NYC! Your own fully furnished private room in floor-through brownstone apt. Property 31: Your own fully furnished private room in floor-through brownstone apt. Cool ~BRAND NEW~ 1BR NYC Apt! Property 36: Cool ~BRAND NEW~ 1BR NYC Apt! Property 39: Straight To Manhattan! Property 42: Chez Isabelle:the place to stay! 15 min to Manhattan. Brooklyn Luxury Modern Elegant apartment. Private patio. Property 48: 15 min to Manhattan. Brooklyn Luxury Modern Elegant apartment. Private patio. Property 50: Individually styled apartment 45 minutes to Manhattan. Corp/Long-term welcome! Comfortable, safe and well-located apartment. Lovely and caring host. Very nice accomodations. Easy access to the subway and all conveniences. Well lit streets. We will stay with Joyce again! Absolutely recommend John's place. John and his family were extremely nice and accommodating. We had to change the dates and John was very flexible with us. The place is clean and just right for two adults and two children. It is very close to the subway and many little places around the home to eat or shop. The unit is private and looks newly renovated. It was a great deal in NYC. Definitely a great experience! Thanks John and Juanita!